At Garlinge Primary School and Nursery we aim to provide a caring, exciting and inclusive learning environment where every child and family really matters. We will inspire, respect and celebrate everyone's achievement and diversity; ensuring children are given opportunities to help them grow into independent and responsible adults. 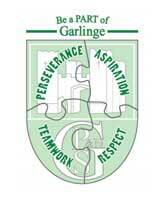 We aspire for Garlinge Primary School and Nursery to be the best place for our children to come to learn; where they are supported by adults who are positive and show a love for learning; where children respect each other and take responsibility for their own learning. All who work at Garlinge Primary School and Nursery believe that it is vital that we are all responsible for improving the skills of all children and we are here to support the raising of standards for everyone.